There’s cause for celebration today at Mossycup Farm. One of our fiber boys is turning TWO! He’s been a part of our farm family since May and despite his adolescent attitude, we’re pretty fond of him already. Tribute “Boo” was born on July 8th, 2015 in nearby Newark, Ohio. 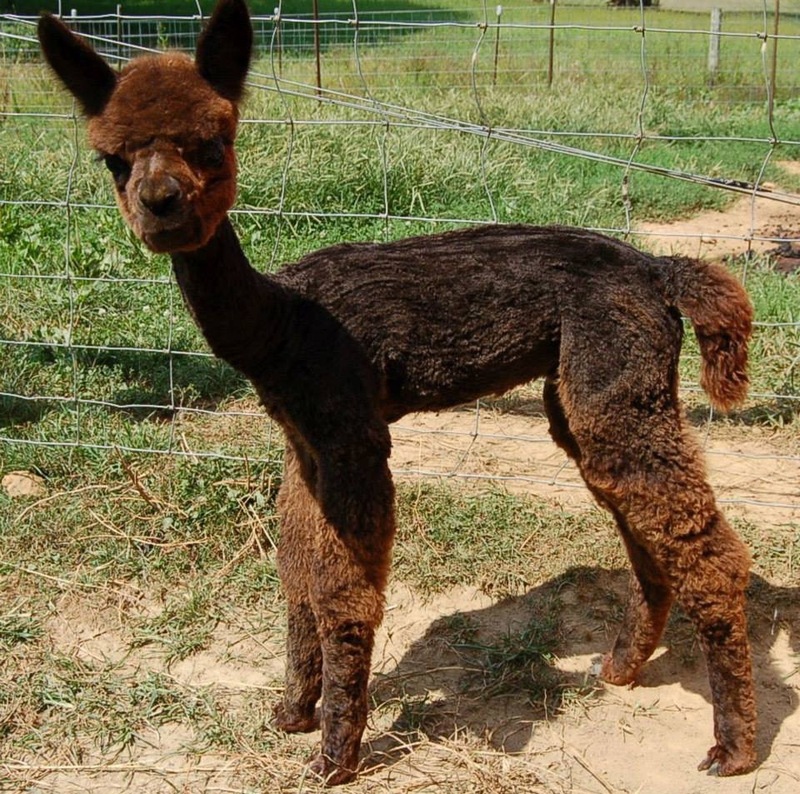 His mom died when he was just a cria, so he was brought up as a bottle baby. His father was Night Sky Magic (true black) and his mother was Siren Song (bay black). (I know, pretty badass names, right?) They were from Spirit Wind Alpacas. 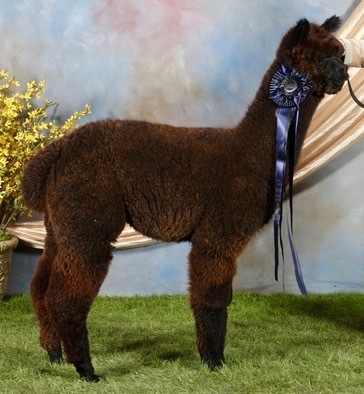 We don’t have plans to take our alpacas to show, but no doubt this boy would place for the quality of his fleece! From what I understand, dark brown isn’t the hottest selling alpaca fiber color, but it’s difficult to understand why when you see Boo’s gorgeous fluff. I know I’ll be knitting up some incredibly soft & warm goodies from this year’s blanket, which was the first shearing since his cria trim. After being here a month, Tribute has decided that he’s ok with some touching and although he won’t eat from my hand, he will let me run my fingers across his back and neck. Problems arise, though, when it’s time for his monthly ivermectin shot. Being in my very pregnant state, all handling has to be done with caution. Our smart boy has unfortunately learned that when he comes up on his back legs like a wild stallion that I back off instantly and he escapes his shot that day (even when I find the gumption to try again). We’ve had to ask help from the sellers (our wonderful mentors at Land of Legends Alpacas) to get his June & July shots done! It’s just too risky with him throwing his weight around. I told him though: “You just wait until this baby is out. 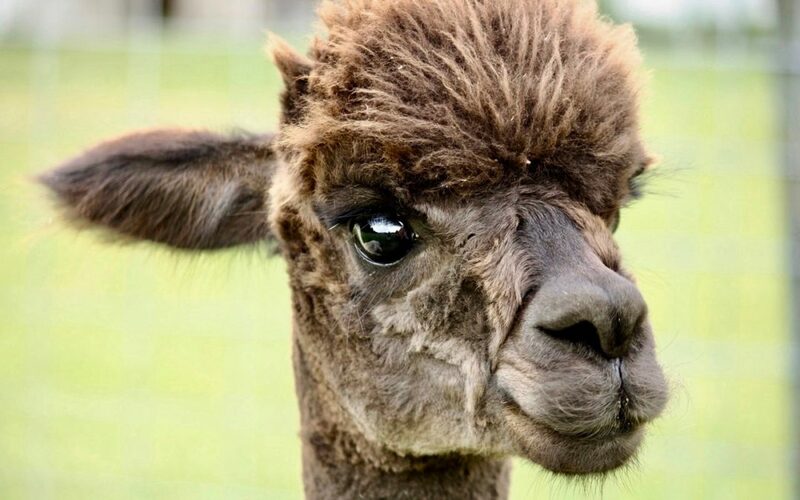 I’ll show you who isn’t scared of a rowdy alpaca on herd health day” Yep. So we’ll see how it goes, but our goal is to help him somehow “unlearn” this learned behavior. But today is his birthday, so let’s focus on the good! Overall, he’s pretty sweet and definitely a pleasure to have on the farm most days. We want you to know we really care about you, Tribute! Everything we do for you (or to you) is for your own good. I’ll be out soon with a big bowl of grain and a special treat for you to celebrate the beginning of your second year! HAPPY BIRTHDAY, DUDE!